Lady peas are a delicate, creamy, and sweet varietal of classic southern field peas. "Southern Field Peas," originally hailing from West Africa, can actually be broken down into four different subcategories. Black-eyed peas, Crowder peas, cream peas and field peas all fall under this realm. Lady peas are little gems of delicate flavor. 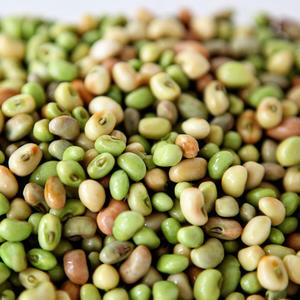 Field peas are high in fiber and low in fat making them an ideal addition to any meal! They are also rich in Vitamin C and plant-based protein. Field peas grow extremely well in Georgia, which is probably why we are their biggest fans! With their peak planting season in June, field peas love the sun and hot weather. Southern cooking master and former cooking columnist for the Atlanta Journal, Mrs. S. R. Dull, even has a special note in her "Southern Cooking" cookbook detailing how to prepare "Field Peas a la Georgia": "Prepare and cook peas using half the amount of water. When half cooked and water almost evaporated add a can of tomatoes, 1 small onion, and half a clove of garlic. Continue cooking until about 1 cup of liquor or sauce is left." Well said, Mrs. Dulls. We'll have seconds, please.